Packers and Movers or a Moving Company are groups of professionals that help people and businesses in moving/shifting their belongings and goods from one place to another. What are the services offered by packers and movers? Disassembly - Picking of stuff from their place and disassemble stuff to put it safely. Packing - Packing of disassembled stuff, packing can be of various types but all the packers and movers listed on ShiftAnywhere provide you high-quality stuff. Loading - Loading of items on the specific containers and trucks, it is a crucial task most of the items break while loading, ShiftAnywhere's list of packers and movers jodhpur have highly trained workers who handle all your items with care and load it without damaging it. Moving - Fast moving services are provided by all these companies. Unloading - Unloading of the stuff is done carefully and you can ask them to unload stuff in front of you if you want. Unpacking - Packers and Movers have highly trained workers who can unpack your stuff in no time. Assembly - You just tell them where to put which stuff and they will do it for you, and your new home will be ready for you. What are additional services that can be provided by packers and movers? Cleaning services - If you want your new house to be cleaned before shifting then you can ask it from the packers and movers, as there are various packers and movers which provides cleaning services. Storage or Warehousing facility - If you want to store your belongings for a longer period of time, for example, you are moving to say New York for 6 months and you don't want to pay rent for your house in New Delhi so you can use storage and warehousing facilities provided by packers and movers for minimal prices by doing this you can save money. Shuttling Services - If you want to move along with your goods then you can ask for shuttling services from your packers and movers, they charge extra for it but in case you don't have your tickets booked this service can be really helpful for you. -> We have done a background check on them, therefore, all the packers and movers companies listed on ShiftAnywhere have submitted Adhaar Card, PAN Card, Registration Certificate etc. -> They will give you cheap quote which will provide you best service in Jodhpur. What are the types of Packers and Movers? Packers and movers are sub-divided into categories based on the distance/cities/countries they are capable of covering, There are three types of Packers and Movers Service. With-in City Packers and Movers - Those packers and movers which operates within the city. For example, Packers and movers which transport your belongings from one place in Jodhpur to another place in Jodhpur are known as within-in city packers and movers. For example, Packers and Movers which transports your stuff from Jodhpur to Delhi or Gurgaon or Any other city in India. Packers and movers which help you to shift your belongings from Jodhpur to another city anywhere in India, we have the list of verified and cheap domestic packers and movers in Jodhpur. Book local packers and movers if you are shifting from one place in Jodhpur to another place in Jodhpur, Local Packers and movers are cheaper and faster. 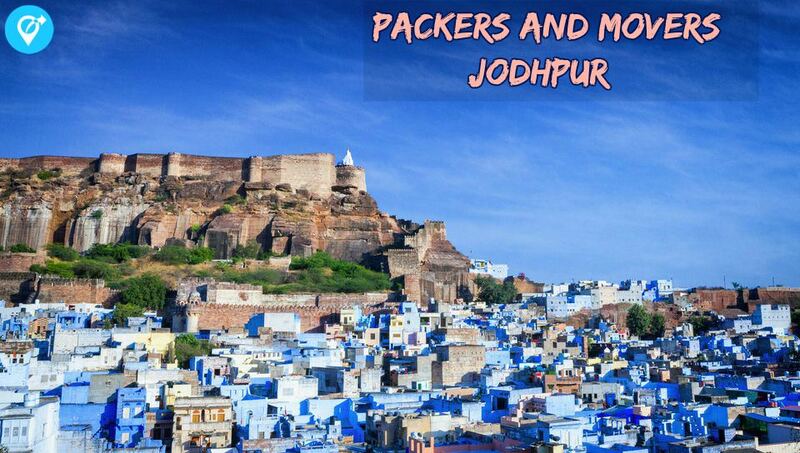 If you are looking for packers and movers in Jodhpur to relocate your office stuff from one place to another, just click on view number and add your details and you will get a call back shortly from packers and movers. Jodhpur, popularly known as Blue City is the second largest city in the Indian state of Rajasthan. Jodhpur is a very popular tourist destination, featuring many forts, palaces, and temples. The Titanic, commanding fortress of Mehrangarh has a landscape dominating a rocky ridge with eight gates leading out of the fortress. The city is also in limelight for the rare breed of horses known as Marwari or Malani. These horses can be found only here.